John Schultz has lived to fish his entire life! Growing up in the mouth of Millcreek Canyon, in the Salt Lake valley, John would fish Millcreek three to four days a week, unless his fishing buddy and he could talk one of their parents into driving them to another place to fish. From a very early age, John became fascinated with fly fishing. His dad did not fly fish, but he did have a fly rod, so John began practicing in his back yard at about 10 years of age. He caught his first fish on a fly that he tied himself, using his mom’s sewing kit, Vise‐Grip pliers for a vise, and feathers taken from his down pillow, when he was 10. He got into some pretty serious trouble when he trimmed the hair off the tail of his neighbors’ Malamute dog to create his first streamer pattern. Over the years, John honed his fishing skills, and is today considered one of the premier stillwater fly fishers in the region. Giving generously of his time, John has introduced many to, and mentored more still in, the art of stillwater fishing. John joined High Country Fly Fishers, Park City’s Trout Unlimited chapter, a few months after the club began, and was the club’s president from December 1996 to December 1998. He has remained an active board member of the club since that time. About six years ago John became the chairman of the Friends of the Strawberry Valley (FOSV), and still holds that position. He also acted as co‐chairman of the committee to rewrite the Strawberry Reservoir Management Plan, and was a participant in the rewriting of the Jordanelle Reservoir Management Plan. 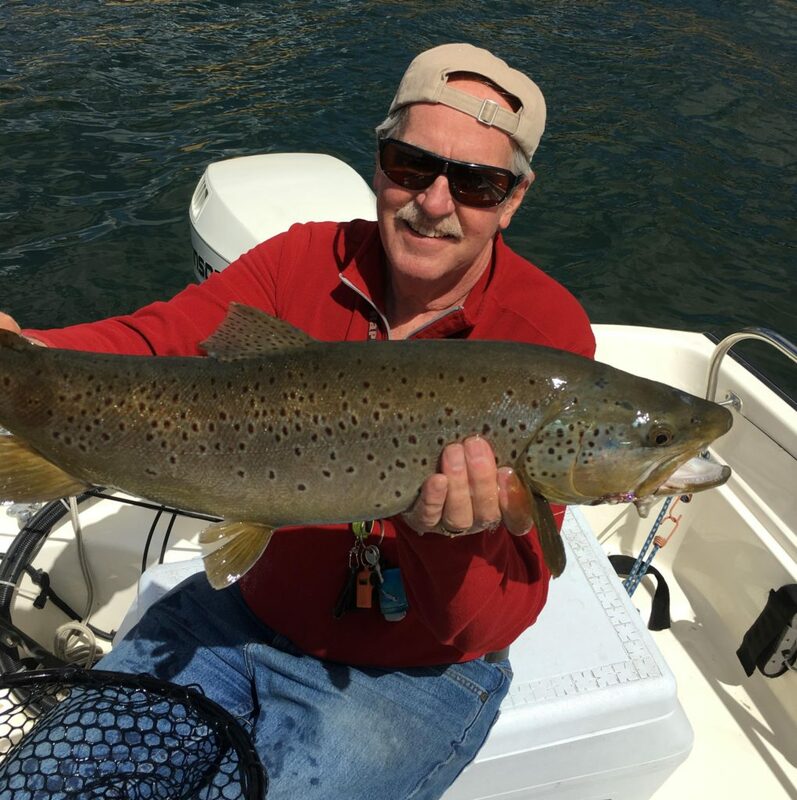 After becoming the FOSV chair, John was asked to participate in the Utah Anglers Coalition, and is now the Vice Chairman of that organization. John joined the Blue Ribbon Fisheries Advisory Council four years ago, and is now the Outreach coordinator for that council. John has been selfless with his time over the years, volunteering countless hours to conservation, teaching and demonstrating fly tying, and introducing others to the sport that has brought so much joy to his life.